This is a brand new wood eating Holey Galahad. The Purple Flat Extreme Coarse is a 120 Grit Disc for extremely rapid removal, up to 15 -20% faster than using the coarse blue Holey Galahad. Leaves a smooth but coarse finish and best used on flat surfaces. Holey Galahad is engineered to "open a window to your work" - no stopping to lift the grinder and check your progress. Discs can be used on both their face and edge surfaces. Made of durable Tungsten Carbide, there is no heat build up. Fits most 4-1/2" (115mm) and 5” (125mm) angle grinders with our Recessed Universal Nut. Maximum 14,000 RPM. Discs are 4" (100mm) in diameter with a 7/8” (22mm) center hole and feature patented structured tungsten carbide teeth bonded to steel discs over the total cutting surface. Tungsten carbide needles are manufactured in a 5-stage patented process. Made in USA. This is a brand new wood eating Holey Galahad. The Purple Round Extreme Coarse is a 120 Grit Disc for extremely rapid removal, up to 15 -20% faster than using the course blue Holey Galahad. Leaves a smooth but coarse finish on contoured or concave surfaces. Holey Galahad is engineered to "open a window to your work" - no stopping to lift the grinder and check your progress. Discs can be used on both their face and edge surfaces. Made of durable Tungsten Carbide, there is no heat build up. 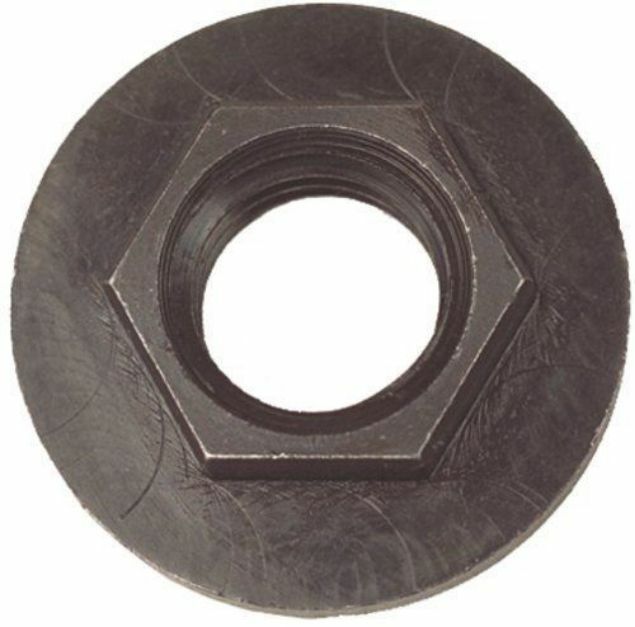 Fits most 4-1/2" (115mm) and 5” (125mm) angle grinders with our Recessed Universal Nut. Maximum 14,000 RPM. Discs are 4" (100mm) in diameter with a 7/8” (22mm) center hole and feature patented structured tungsten carbide teeth bonded to steel discs over the total cutting surface. Tungsten carbide needles are manufactured in a 5-stage patented process. Made in USA. Patent Pending Discs provide you with an uncanny ability to see the surface being sanded through the disc as it spins.